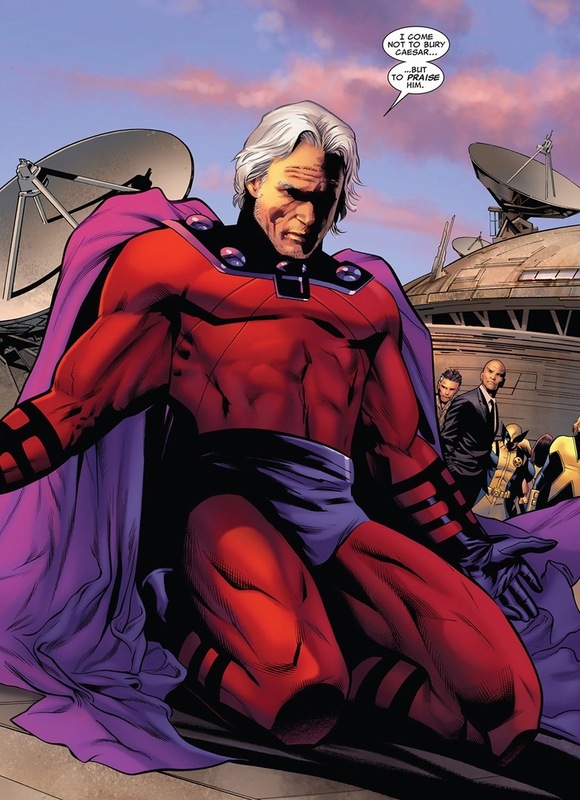 For almost 50 years, Magneto terrorized the X-Men and the Marvel universe. And I literally mean terrorized — the dude’s the poster boy for terrorists. 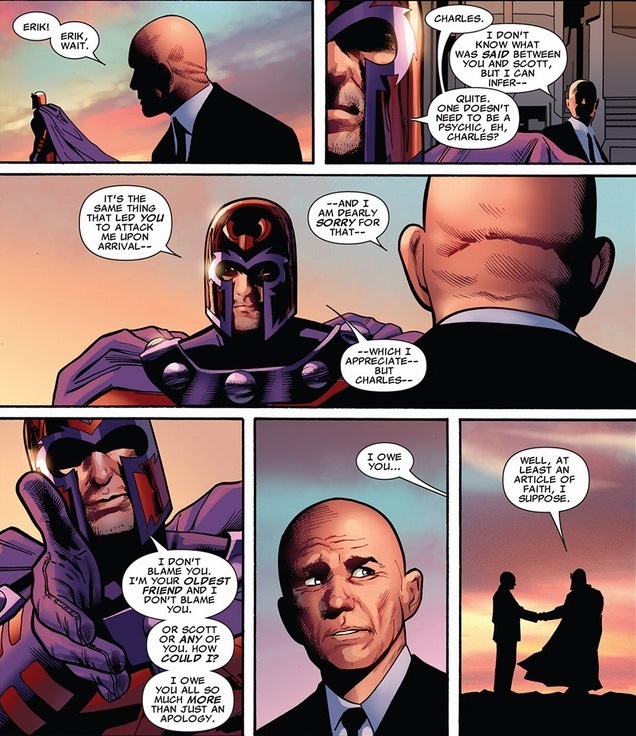 With all his genocidal acts and other horrible atrocities committed by him and his mutant allies, Magneto (whose current “real name” stands as Erik Lehnsherr) regrets nothing. 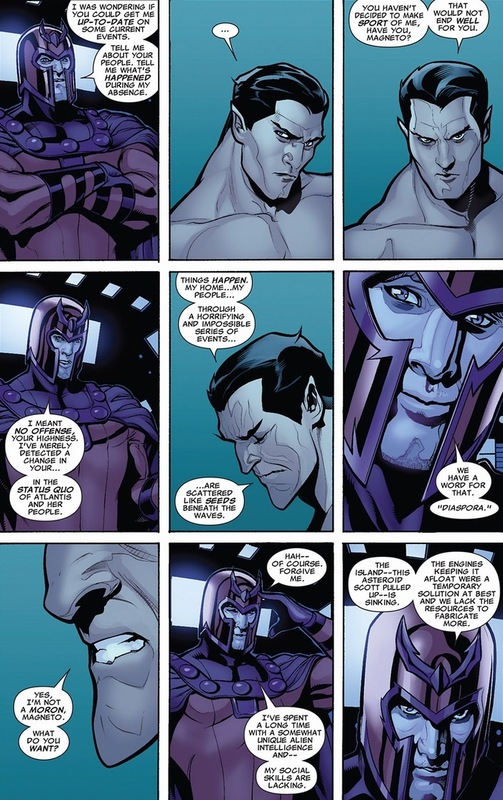 He holds his head high, and even as he ends his reign as a supervillain, his goals haven’t changed — just the X-Men have. 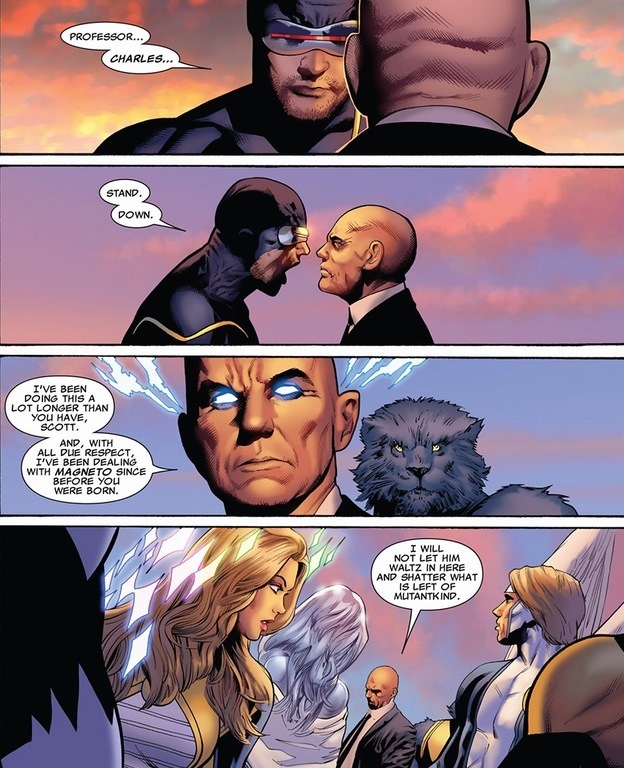 Poor Professor X. He gets to hang out with the X-Men, but he’s a relic of a long gone past. With his favorite student Cyclops (Scott Summers) taking the reigns of the mutant future, Xavier’s relegated to the senile grandpa who hangs out on the porch and screams obscenities to neighbors walking their dogs. 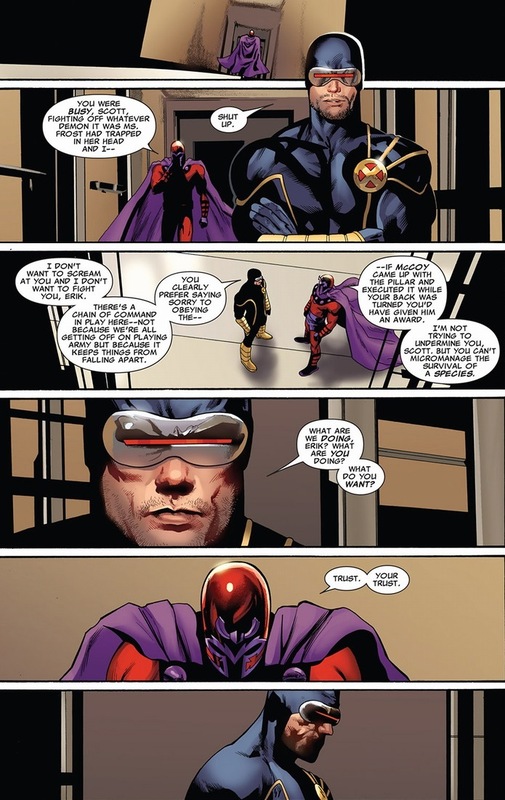 As Magneto makes his introduction, pay close attention to how badly Cyclops shuts down his mentor. Poor Professor X indeed. Look, the professor has a valid point. Remember, Professor X hasn’t forgotten that Magneto’s daughter caused the mutant decimation, turning millions of mutants worldwide into less than two hundred. 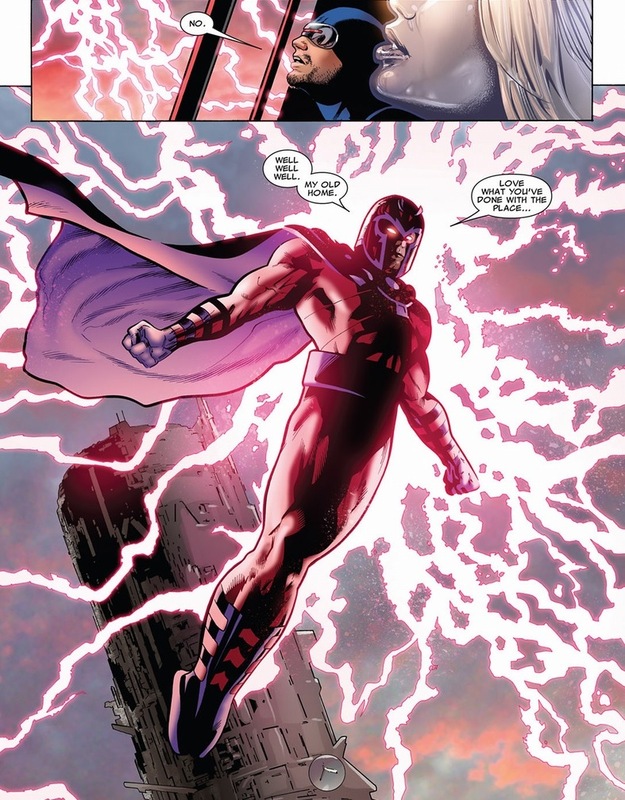 Plus, he spent his entire adult life watching Magneto battle the X-Men time and time again. 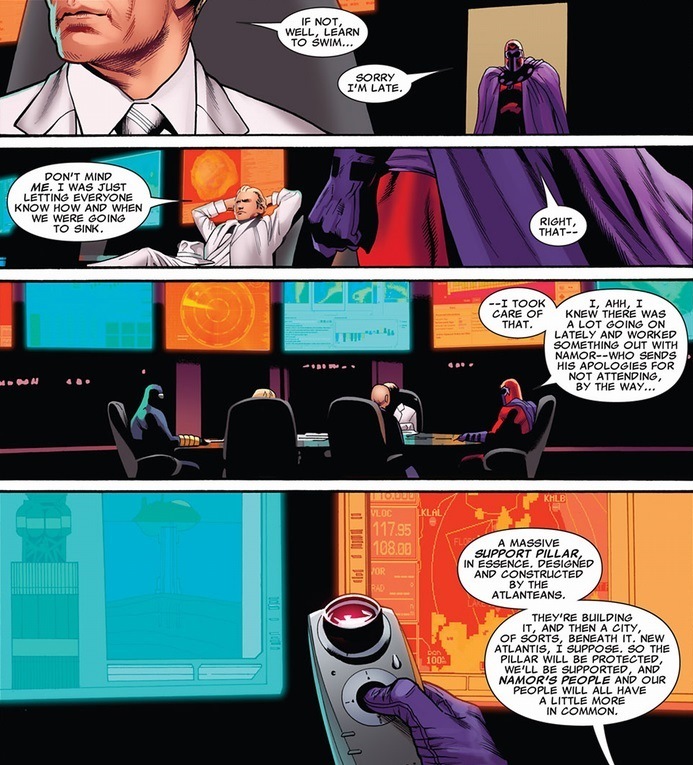 It would not be completely insane that Magneto’s lying — supervillains tend to do that. 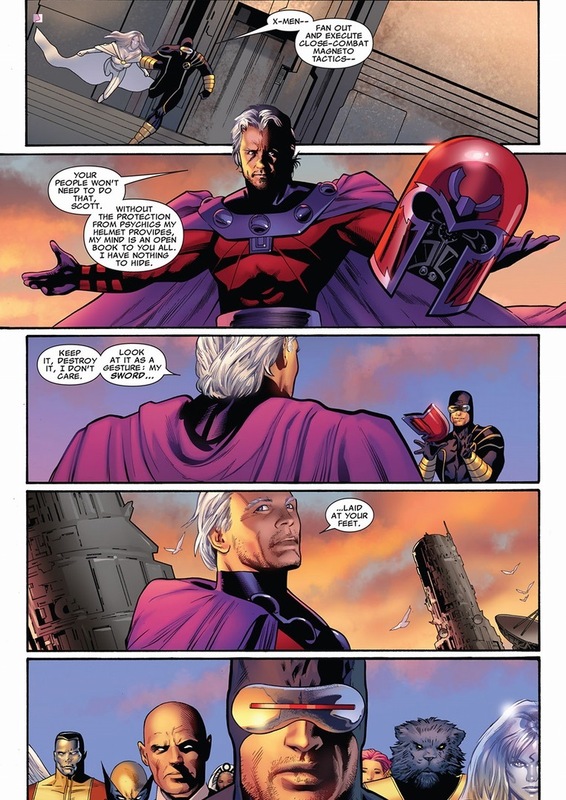 Why now for Magneto’s change of mind? 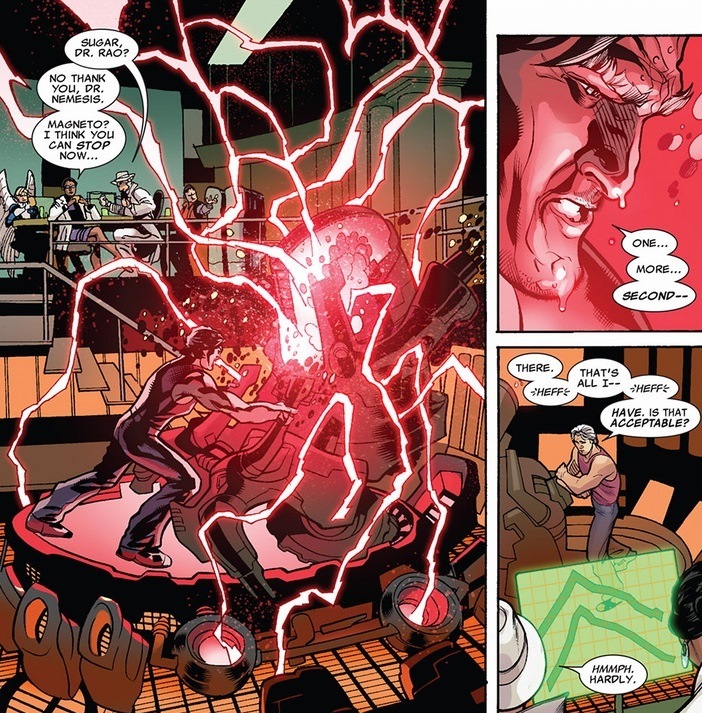 He’ll explain in a second, but what’s the biggest difference between Professor X and Cyclops (besides the laser eyes)? 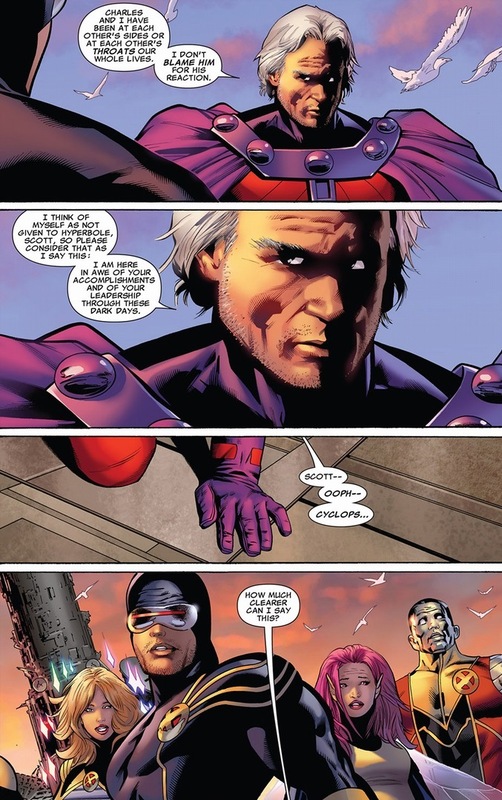 Unlike the professor, Cyclops is a soldier and Magneto knows this. 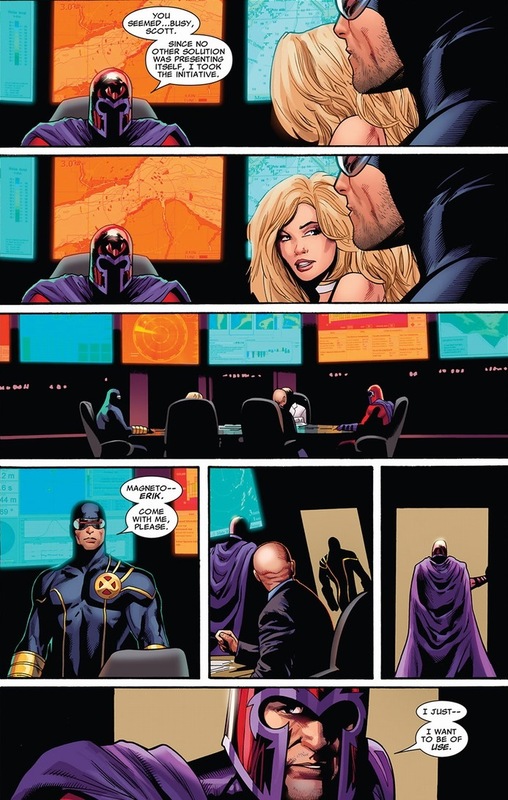 If all the remaining mutants hang out on Utopia, why wouldn’t Magneto be there too? 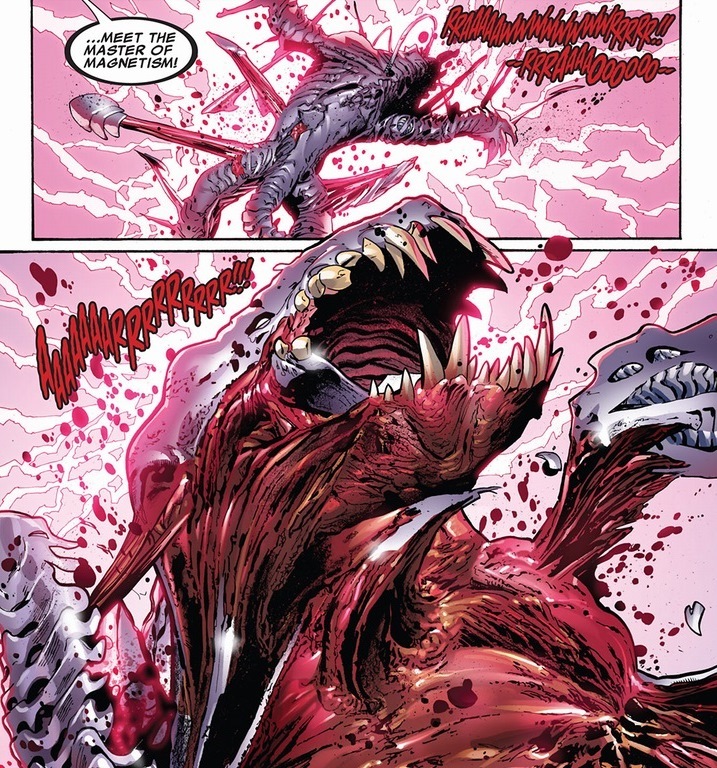 After all, he’s always fought for mutantkind. Y’know, just with eviler methods. 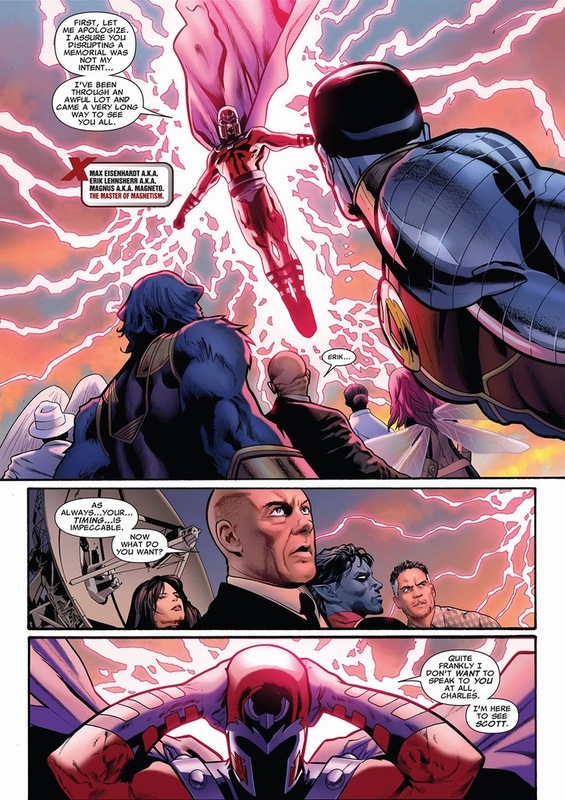 While this article doesn’t have much fighting (well, I mean there’s tons throughout the arc, but you have to buy the book for all that), even Cyclops can’t deny when considering the X-Men army alone, Magneto’s a powerful weapon to have. 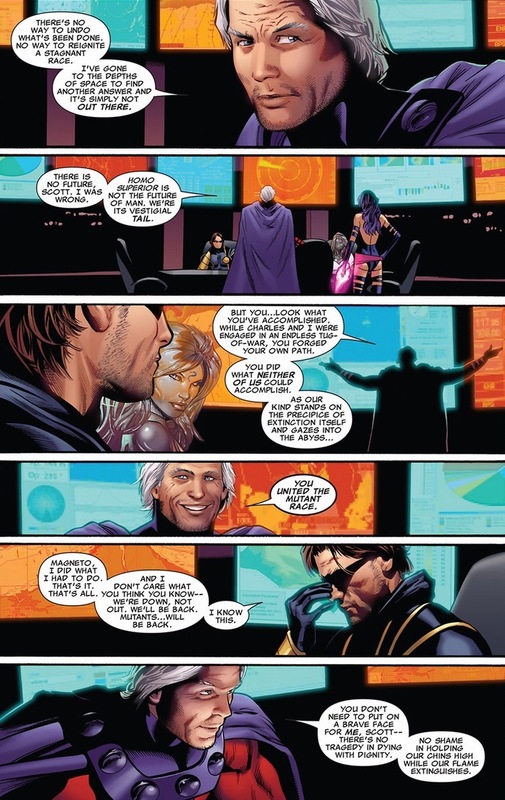 All that’s left for Erik is to prove to Cyclops and the X-Men that his intentions are genuine. 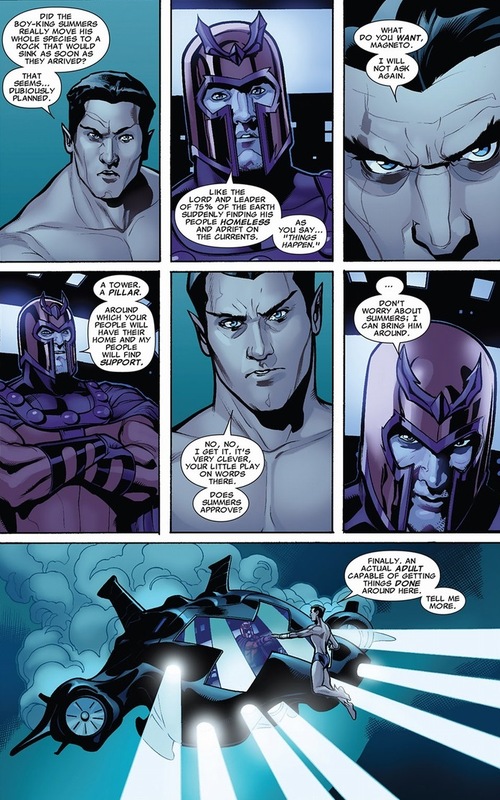 Unforunately, that’s a much bigger fight than tearing apart mindless monsters (and definitely buy the book to see some amazing X-Men teamwork and Fantomex love). 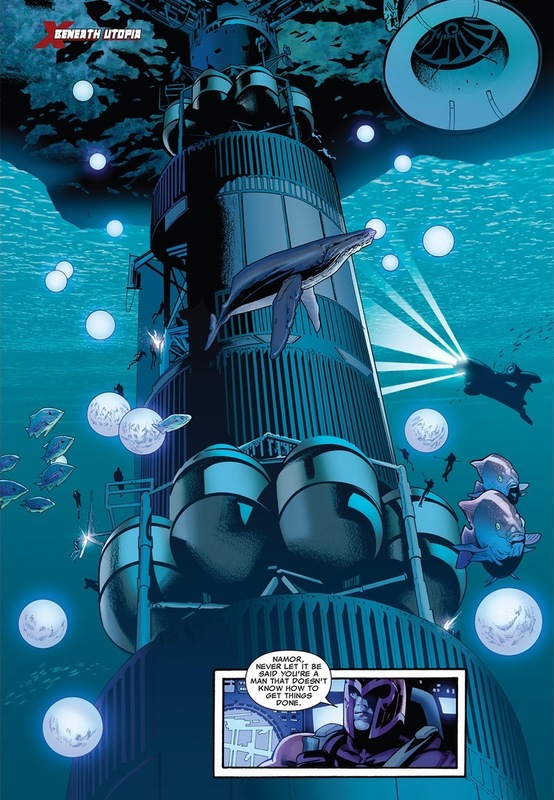 Luckily for Magneto, a problem looms he can fix: Utopia is sinking into the ocean. 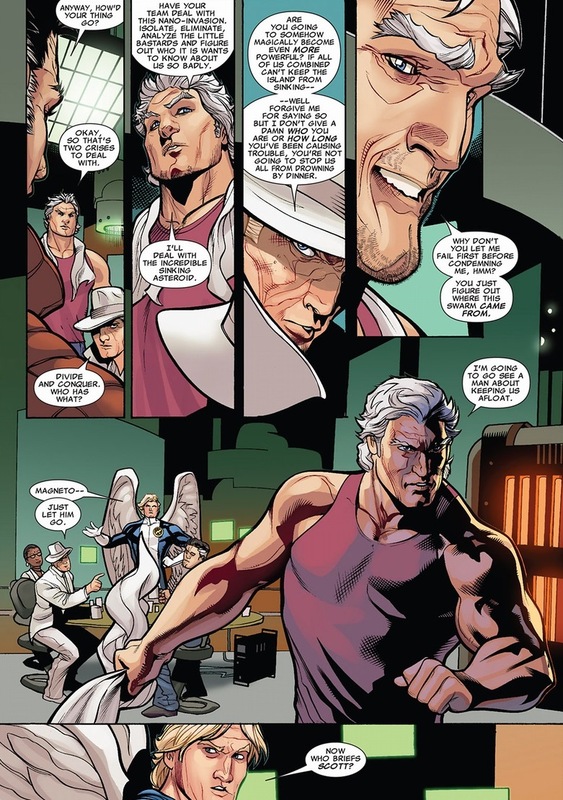 Magneto’s made some useful friends in his supervillain career. Like a fishy anti-hero who just recently became best friends with Dr. Doom. Time to inform the new boss about the exciting success. The heavy hitters — guys like Magneto, Dr. Doom and Norman Osborn — haven’t really had “bosses” before. Part of being a successful supervillain comes with a major dose of megalomania. In the next scene, read carefully: both characters make valid arguments. 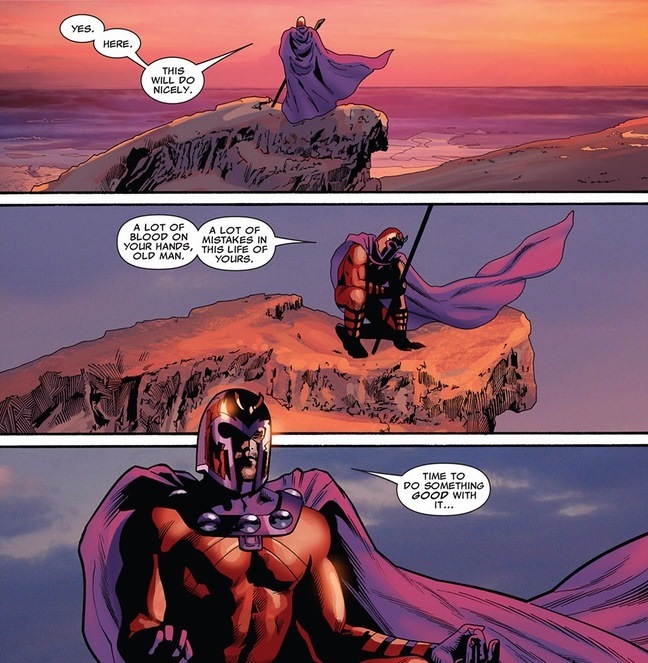 Magneto just learned the hard way that decades of sins can’t be washed away with one good deed. Sure, the old man executed a great idea and yes, he did save the island from sinking. 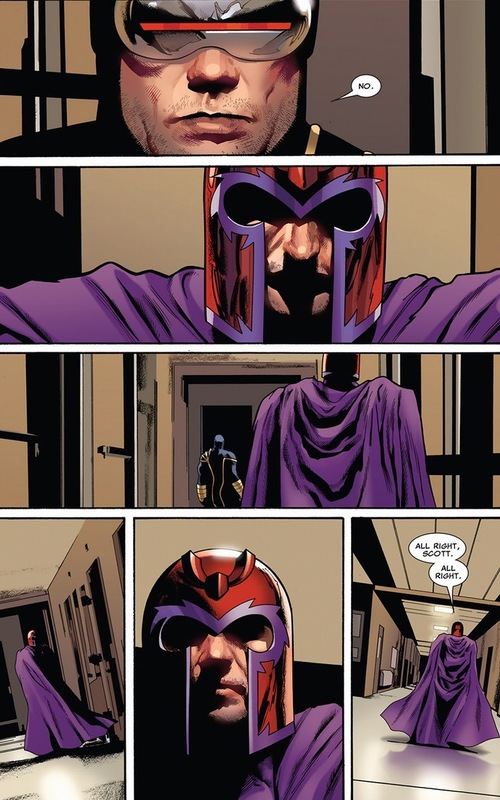 Unfortunately, Magneto underestimated the man he’s clashed with since Cyclops hit puberty. 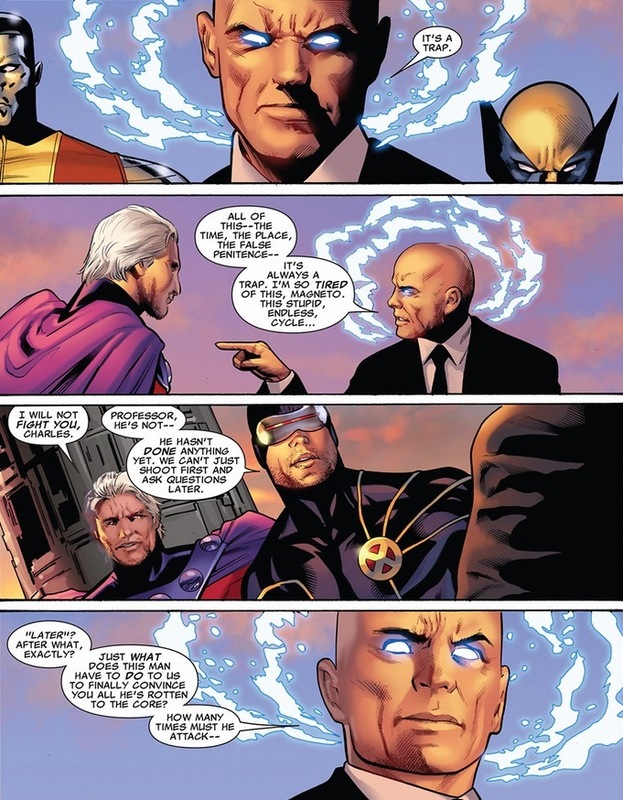 Scott leads the X-Men not because of his connections to Professor X, but because he earned the X-Men’s leadership through experience, capability, and proven success time and time again. 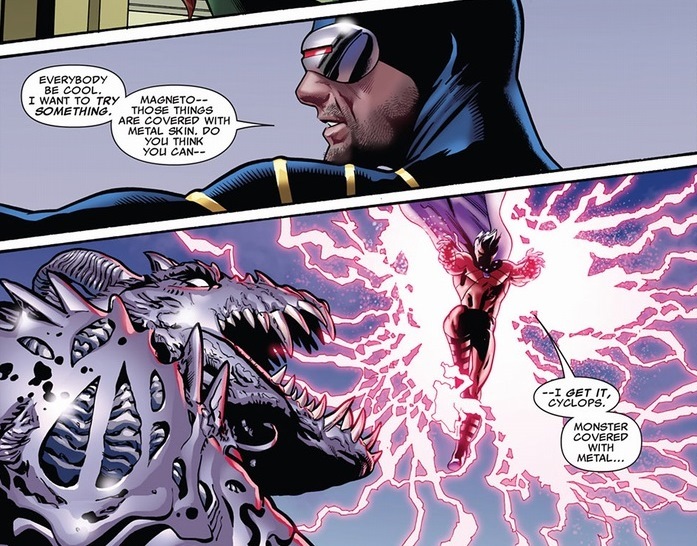 So if Magneto really wants a spot on the roster and Cyclops’ trust, he needs something big. Life changing. Fifty years of past foiled plans by the X-Men, and Magneto continued to pursue his misguided agenda after every bruising and beating. Persistence and lofty goals certainly classify as some of his stronger traits. Get ready, because on Friday we’ll have the finale of our story, including a heart-wrenching act over a year in the making. How’s that for a tease?